Installation of a heat pump is a option, which many people are turning to, in this day and age of run-away utility prices. Paying the utility bill is almost as painful as filling up the gas tank in your SUV. Due to our extreme climate swings here in Utah, heat pumps have been rare. But, everyday I am being asked more questions by customers considering installation of one. In our area, the solution to below freezing installations is the dual-fuel system. Once the heat pump has passed beyond the balance point, the homeowner simply reverts to his gas-fired heating system. Sure, costs a bit more on initial installation, but the homeowner feels he is getting the best-bang-for-his-utility-dollar. Heat pumps can help save money on utility bills. In a moderate climate, they are very effective efficient heating. Supplemental or emergency heat can be added easily. Heat produced by a heat pump is less intense than some other heating sources, therefore, the unit runs longer and heat is distributed more evenly throughout the house, meaning there are no cold spots. A heat pump will cycle on and off less often than a gas furnace. A heat pump will dehumidify your home more efficiently during the cooling months. 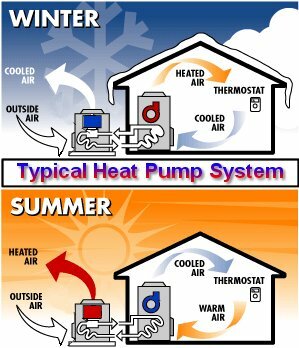 A heat pump tends to be somewhat ineffective in an extreme climate, where the outdoor air temperature falls near or below freezing on a regular basis. A supplemental or emergency heating system may be required to make the heat pump produce enough warmth to comfortably heat your home when the temperature falls below freezing. Some people are uncomfortable with the milder heat produced by a heat pump. Heat produced by a heat pump is not as intense as the heat produced by some other heating sources. 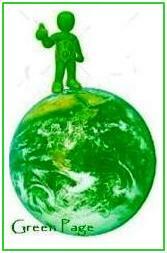 Ground source or water source heat pumps are very expensive to install.